A couple week’s back, Katie + I attended the limited release of the new bio-pic The End of the Tour not once, but twice. 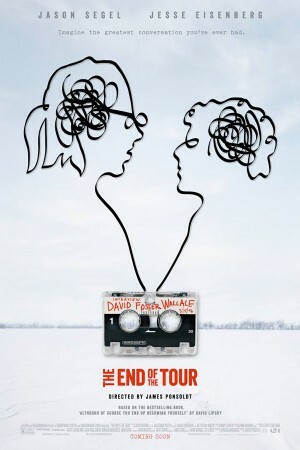 For anyone not already familiar with it, The End of the Tour follows now-deceased author David Foster Wallace at the close of the book tour for his celebrated 1996 postmodern novel, Infinite Jest. At its most basic level, the film is a depiction of life + living through the lens of an extended conversation with fellow author David Lipsky as he shadows Wallace for a Rolling Stone article that never came to be. Though the article never materialized, after Wallace’s suicide, Lipsky combed through hours of audio tape from those days of travel, talk, and near inhuman consumption of junk food + cigarettes, eventually compiling it all into a best-selling memoir, Although of Course You End Up Becoming Yourself. The movie—an adaptation of that memoir—was, in fact, great. Our reasoning for seeing it twice in almost as many days was more that we wanted to catch the discussion and Q+A with the film’s director, James Ponsoldt, and lead, Jason Segel, who plays Wallace; but it’s also a great movie to see twice. Based on actual audio of two actual people who both stood as intellectual, literary savants and two dudes trying to look away from the glaring possibility that we’re all truly alone and life is meaningless, the end product’s understandably dense…but in a fun way not without humor. All that to say, it was nice to catch a few things I missed the first go ’round. As the film ends, with sad, blurred images and the voice of Jesse Eisenberg as Lipsky reading aloud from his memoir, a cover of a early Pavement song—”Here”—softly unfolds under the credits. The cover, by British band, Tindersticks, is good and totally fitting for the mood at the end of the film. But, like many if not most covers, it just made me want to revisit the original, which—no offense meant to the Tindersticks—still stands head-and-shoulders above any reinterpretation I’ve ever heard. 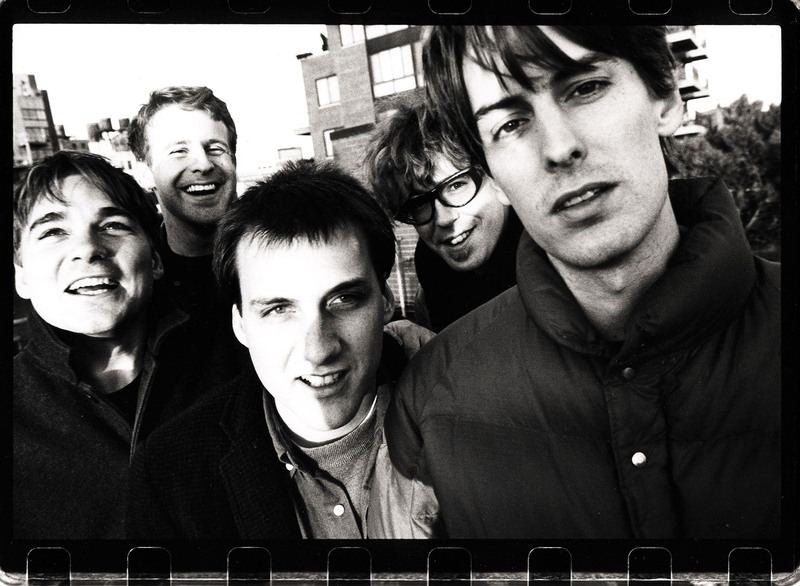 The blasé, low energy pop-rock and frank, flat tone epitomizes the 90s indie darlings, their sound, and their whole aesthetic + attitude as a band. In addition to “Zürich Is Stained”, this remains one of my favorite songs from the band’s most excellent debut, Slanted and Enchanted. Give it a listen and, if you get a chance, be you a Wallace fan or not, check out The End of the Tour. It’s worth it.